Jeans were popularized during the California Gold Rush as they were a hit with the gold miners who needed durable clothing for their kind of work. Levi Strauss was the one who provided the original denim to cater to the demand of the miners. Soon after, Jacob Davis came up with the creation of rivets that prevents tearing the pockets of denims. Strauss and Davis teamed up and from there were born the modern day jeans that subsequently evolved into a cult and iconic garment that is a stable that almost everyone possesses around the world! Jeans is not only a functional bottom wear but has now become a specialty couture garment too with various fashion designers reworking to give it an expensive price tag. 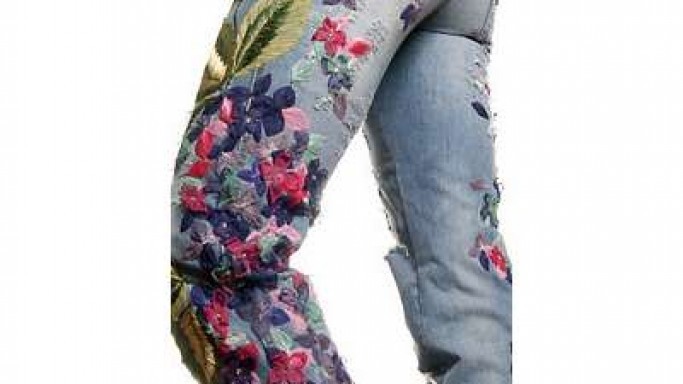 Jeans have been recreated in various with designs that have made them extremely expensive. Gucci Genius went in the Guinness Book of World Records for selling a pair of jeans for $3, 134 off its racks which was a regular pair of jeans that were ripped, distressed and embellished with African beads. APO has also customized its denim range that can cost you anywhere between 1000-4000 dollars. However, Escada, a couture line has jeans that start at a whopping $7, 500 and can go to any amount. The highest price of Escada jeans that has been sold has cost $10, 000. A lot of women spend a fortune on various fashion accessories like Louboutin pumps or Louis Vuitton bags, but the latest luxury accessory that goes well with practically anything is a pair of luxury jeans whether boot cut, torn, stone washed or straight leg. Jeans are worn by workers and multimillionaires alike- but what varies here is the price tag. Earlier, the sales of expensive jeans was not very heartening, however, since 2004 luxury jeans have seen a rise in sales since 2004. Jeans have undoubtedly become a premium garment and a lot of customers prefer to invest in an expensive pair of denims for that ultimate runway look and status symbol feeling. The most expensive jeans till date have been the ones that are customized and sold by Escada as their range started at $7,500 onwards that re studded in diamonds, silver rivets and 14 carat gold. However Levi Strauss & Co. also created a record unto themselves by purchasing their own pair of denims on an eBay auction that date back to 1880s for an insane amount of $46,532- making vintage jeans the most expensive in the world. We have reached an age where jeans have become an investment and a prized possession and this trend is here to stay!